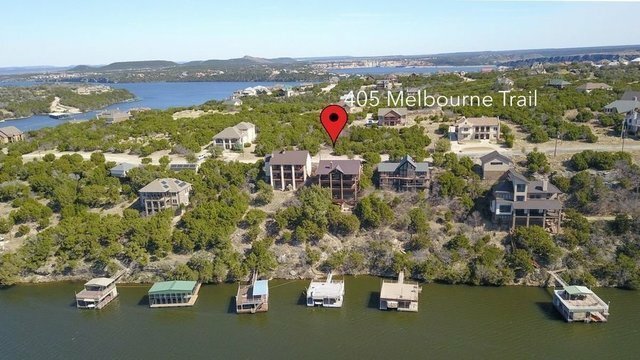 Rare home in The Cliffs with two-level boat dock in very deep water and protected cove; ideal for swimming off the dock due to being in a no-wake area. Gorgeous lake and cliff views.No detail was spared in this fully-furnished home designed for entertaining. Two large living areas with wet bars, two large balconies, one with a nice outdoor kitchen, extensive AV installed throughout home and boat dock, special hot tub area. Open concept on the main floor with master suite. Secondary living and guest bedrooms are on the lower level with total sleeping for 11.Home ownership includes access to all the amenities: unlimited golf at no charge, restaurant, marina, two pools, fitness center, spa, playground, tennis, hotel.